It blocks the parking lot that my balcony faces. Privacy from my neighbors !! 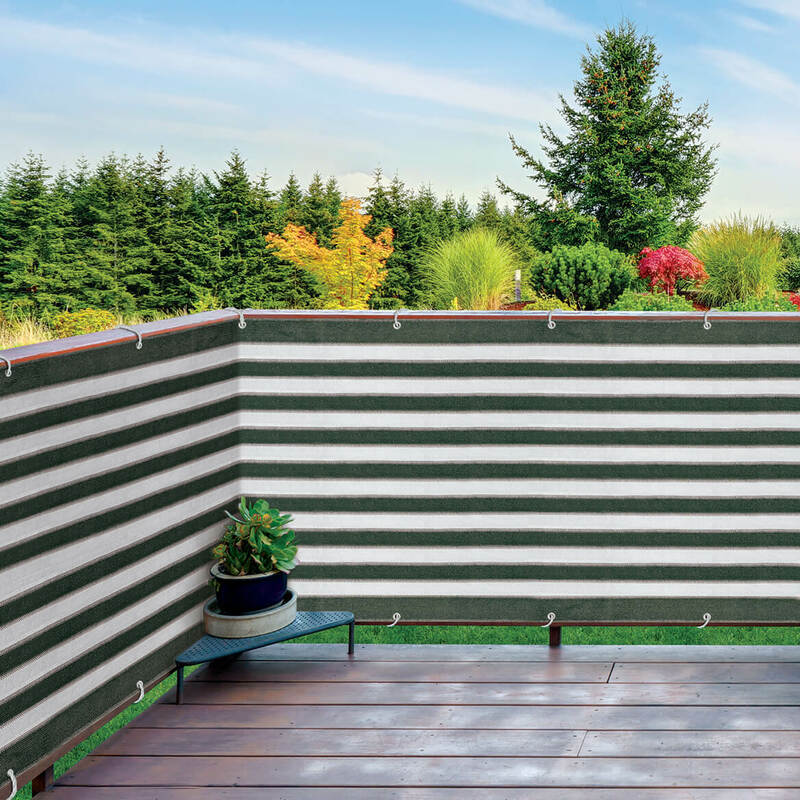 What is the size of the deck and fence privacy screen? BEST ANSWER: Thank you for your question. The privacy screen is 15" w x 3" h. We hope this information will be of help to you. My porch is screened in, is there a way to use it on screen instead of wrapping it around with the ties? BEST ANSWER: Thank you for your question. If you are unable to tie it in place, it can also be kept in place in there are poles to weave in and out of. We hope this information will be of help to you. If you send me a picture of where your trying to put the privacy fence I can better understand what your trying to do, and give you some options of how to hang it.hope I can help. I am sure you could find away to secure it to screen it's a great privacy screen. 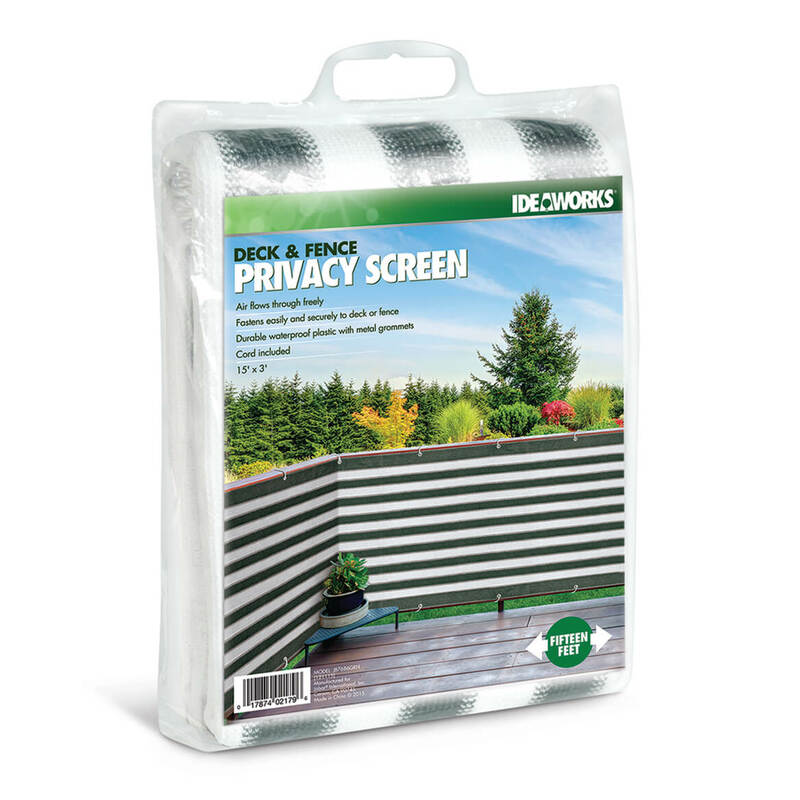 Can this privacy screen be tied/connected to trees.? BEST ANSWER: Yes, it can be. Can this be wound around two poles to create a privacy screen?? BEST ANSWER: Thank you for your question. That would depend on the distance between the two poles and how severe the wind is. We hope this information will be of help to you. Depends on how far apart poles are from one another and how tight it would be so the wind wouldn't blow it around. Do you have this in a taller size? BEST ANSWER: Thank you for your question. This is the only size we have. We hope this information will be of help to you. Can these be cut down to fit a smaller area? Thank you for your replies. BEST ANSWER: Thank you for your question. Yes you can trim this item for any size space you need. We hope this information will be of help to you. will this block rain, snow from my porch? BEST ANSWER: Thank you for your question. No this will not block rain or snow. We hope this information will be of help to you. Will this screen help block sun?